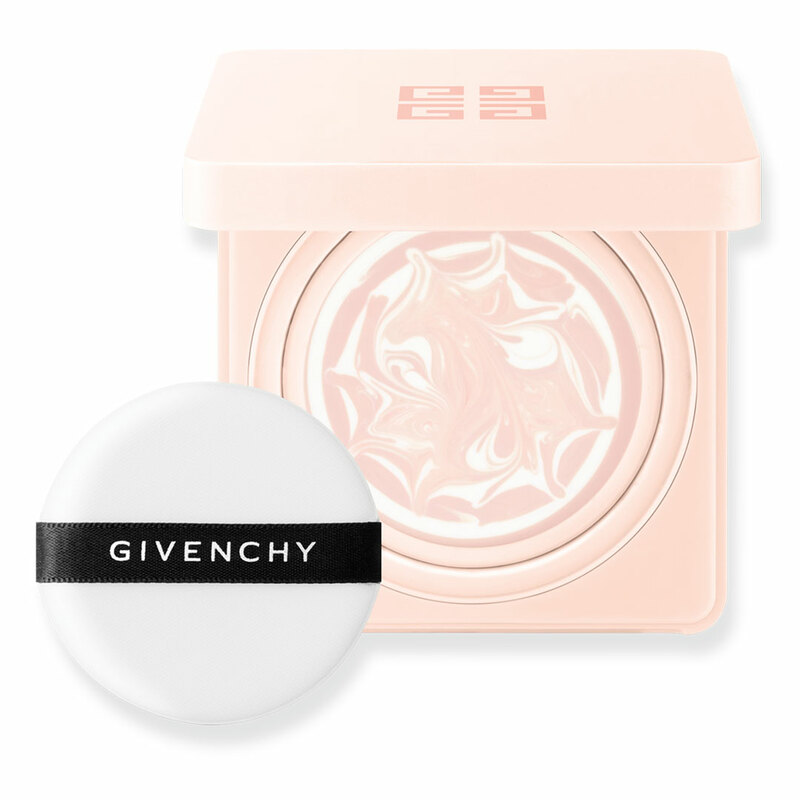 Givenchy adds to its L’Intemporel Blossom collection of anti-aging products designed to protect the skin from aging caused by life’s daily stress with two new products - Fresh Face Compact Cream and Pearly Glow Lotion. 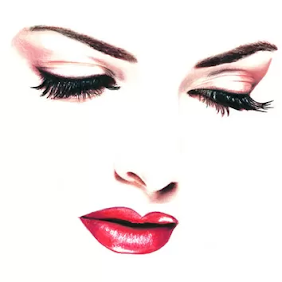 Lack of sleep and exercise, smoking, unhealthy diet, pollution, sun exposure cause the skin to suffer a lot of daily stress, which affects the blood flow and damages the collagen in its layers. This, in turn, causes dullness, enlarged pores, and dryness, accelerating the aging process and hindering skin’s ability to repair itself. 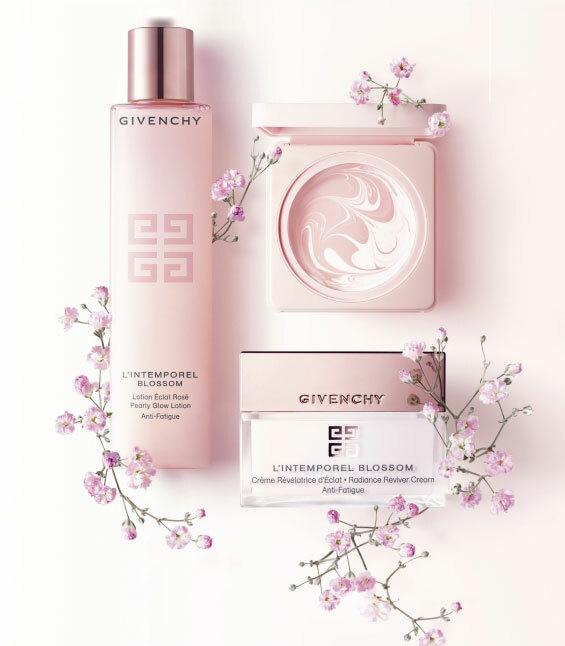 Givenchy L’Intemporel Blossom range includes the exclusive Blossom Glow Complex, an energizing formula infused with angelica extract, pink berries and vitamin C. the two new products focus on helping the skin fight off lifestyle related and environmental stressors of the fast-paced world. 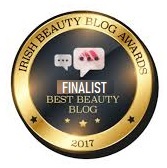 Designed to both protect the skin and boost its natural defences, the new L'Intemporel Blossom Compact Cream and Pearly Glow Lotion provide effective solution to one of the most complex skin problems – fatigue. 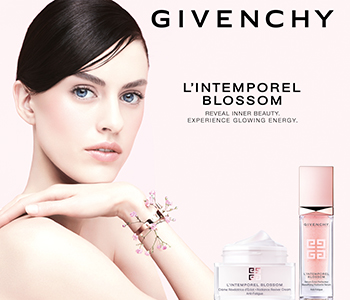 A bi-phase lotion that combines a moisturizing base and fine particles of rose mother-of-pearl. Designed to brighten a dull complexion, it also hydrates the skin and prepares it to receive the following skincare products. The skin is energized and smoothed, enhanced with a subtle rosy glow. Combines the moisturizing benefits of a day cream with a meltingly soft pink-and-white glow-revealing texture. Announced as a true skin beautifier, it refreshes and energizes the complexion upon application, preserving its youthful glow and leaving it protected and revitalized. The cream is presented in a nomadic compact case to always keep at hand. 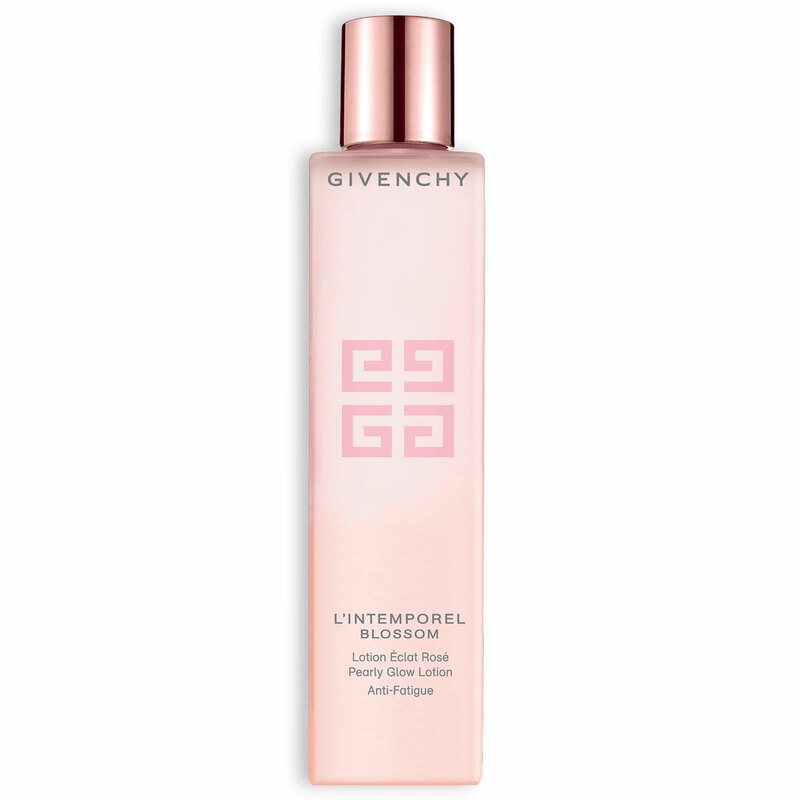 The two new L’Intemporel Blossom products will be available October 2018 from leading Givenchy counters.